Vegan margherita pizza with Tofutti mozzarella cheese. 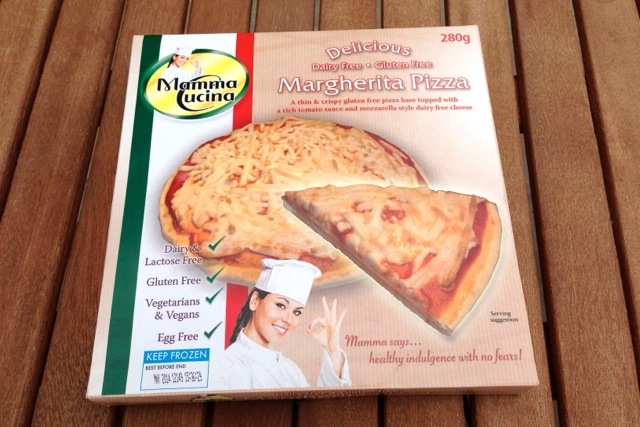 Part of Triano Brands (best known for Tofutti), the Mamma Cucina range in the UK now includes dairy-free ice cream, cheesecakes, quiches and pizzas. Just like the quiche and cheesecake, this pizza is also gluten-free. We've tried Tofutti cheese on pizza before...so does this make a worthwhile frozen pizza?